time to get yourself into a new, fuel efficient Chrysler, Dodge, Jeep, or Ram vehicle with modern styling and advanced technology. 3.A copy of your college diploma. job. Make a good impression on your potential new employers, or be the envy of your friends with a new and stylish Chrysler, Dodge, Jeep, or Ram vehicle like the Chrysler 200, Jeep Renegade, or Dodge Durango. We have a huge new vehicle inventory to choose from at Ron Sayer's Chrysler Jeep Dodge in Idaho Falls, ID – proudly serving the Pocatello, Rexburg, and Blackfoot areas. Contact us for more information and for official program details. 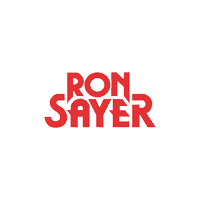 We’d love for you to join the Ron Sayer family today! Congratulations again on your successful completion of your college career! 0 comment(s) so far on Congratulations to the Class of 2015!